SHAKE IT!! now it's Snowing!!!! :DDD ❄ ❄ ❄ . 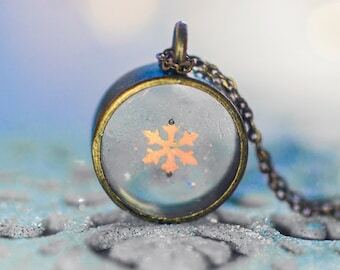 A beautiful and original handmade Snow globe necklace. 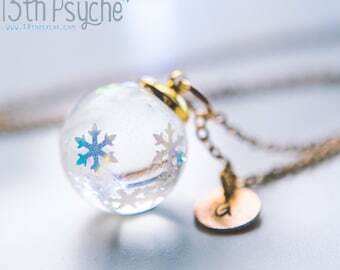 This elegant glass orb is filled with an original Svarovski Star, water and hexagonal iridescent glitter to create a beautiful snowing effect. 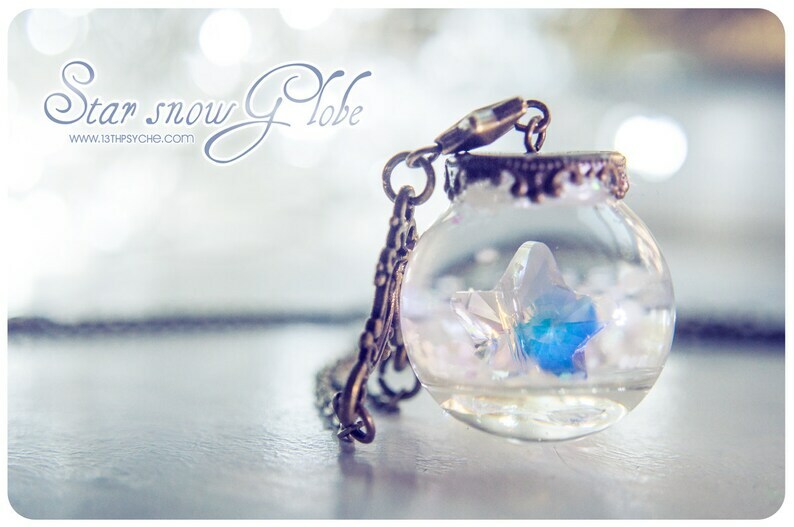 - Glass orb Size : 25mm. 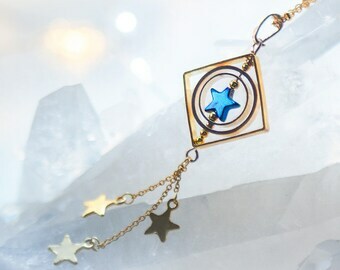 - Swarovski Star size: 12 mm . 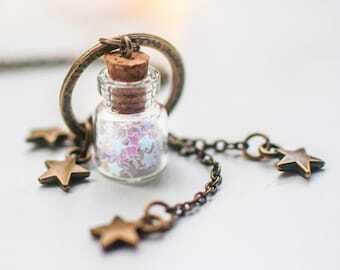 - Necklace length: around 60 cm (26 inch approx.). All the products are shipped well packaged, in a custom box with a cute stamped organic cotton bag :). All the bronze parts are nickel free and non-toxic ;). ✦ Some colours may vary a little depending on your monitor configuration. 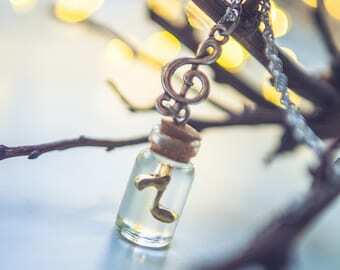 ✦ Since my products are handmade, each one is unique , pretty and special and could be small differences with the original photo, especially with the resin-filled bottles. 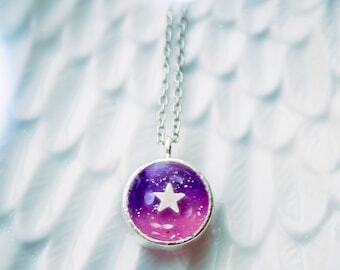 ✦ Resin is very whimsical! 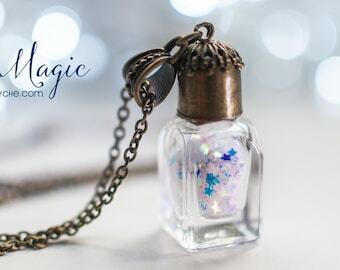 The filled bottles of this product might contain small bubbles, but it gives them even more special touch to the necklace :D.
✦ If you have any other questions or comments please contact us. Item ships from Madrid, Spain, Europe. For more info check my Shipping information. Since I'm going to take a few days off during this Easter, all orders placed during these days, will be sent from next week! I leave you a 15% discount on the entire store to make up for the wait :D.
Loved all my jewelry. Thanks so much!! nice item, good price, fast shipment, perfect as usual! Item came just as described and on time. I used it as a Christmas gift exchange at work for a co-worker who loves snow globes. She was delighted! So beautiful! My best friend loved it as a Christmas gift!! The best way to pay at "13thpsyche.com" is Paypal or credit card. If you do not have paypal account you can allways pay with credit card . Paypal accepts Visa, Mastercard, American Express and Tarjeta Aurora. 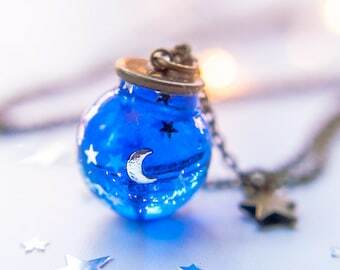 If you are not happy for any reason, return them in the original condition (new an undamaged) within 7 days for a full refund minus shipping costs. Customer is responsible for shipping product back and any new shipping and handling cost on product they want to exchange. 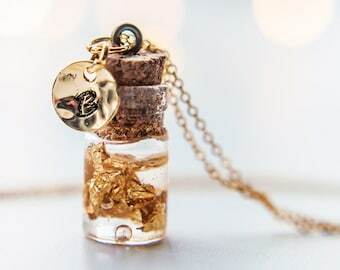 For any reason, the piece is damage or broken during the shipping (This seems unlikely, all the pieces comes so well packaged) , please note me explaining what happened and adding me a photo of the damaged product. I'll send you a replacement or a refund. I can ask you to ship the damaged item back to me prior to issuing a refund. Custom orders are not refundable since they are specially made for the customer and they can't be reselled. 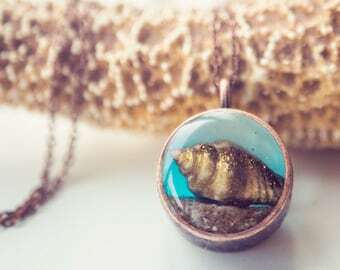 If there are any concerns with this purchase, please do not hesitate to CONTACT ME through Etsy Convo before leaving a neutral or negative feedback, or opening a case. I will do everything I can to resolve the issue to your satisfaction. I ship within 3 business days of receiving cleared payment. All packages are sent via Correos, Spain. PLEASE keep in mind that in CHRISTMAS times the estimated arrival time may vary, due to the high number of shipments that are sent during these dates. Thank you for understanding. Products are PERFECTLY handled and packaged in a custom cute box, and with a bubble pack. 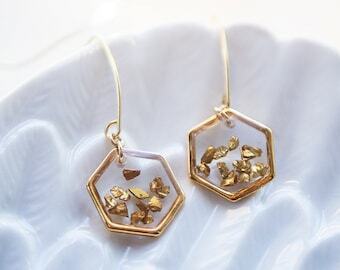 - For longer lasting jewelry, it is important that you keep it free and clear of moisture. - Keep jewelry stored in an enclosed area. Whether that be a jewelry box or pouch. 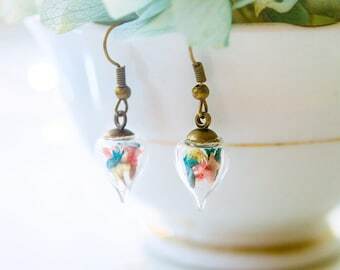 - Oil from the skin and sprays (like perfumes) are not good for the jewelry, after wear and use, gently wipe jewelry with a soft cloth to remove oils. 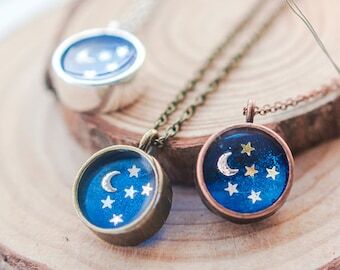 - Keep jewelry out of sunlight and safely stored. 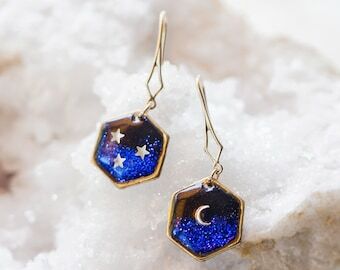 ✦ I really love making custom orders. If you want me to make something different, color changes, bottle size change, or anything , please note me :) I'll be happy to attend all your requests and proposals. ✦ I do Wholesale. Please send me a convo for more info. ✦ My products are not available for Reselling. Thank you for understanding. ✦PLEASE, Don't copy my designs, Don't try to imitate my photos and please write your own policies instead of copy and paste mine. I work very hard in my shop and my own desings and doing that you're trivializing my work. All products, images, illustrations and related media is property of "13thpsyche.com" and their respective owners. Nothing from this website can be altered, used or modified without express permission of the authors.